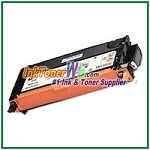 At InkTonerWeb.com, our Xerox Phaser 6280DN premium quality toner cartridges have a One Year Guarantee. 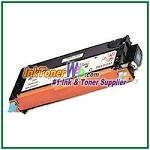 All Xerox Phaser 6280DN compatible toner cartridges sold by InkTonerWeb.com are guaranteed to be of premium quality. 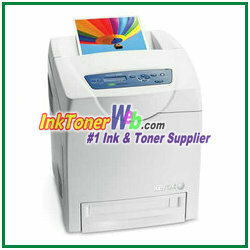 We have a one year warranty on our Xerox Phaser 6280DN compatible toner cartridges. 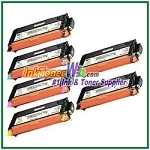 Xerox Phaser 6280DN compatible toner cartridges are for use in Xerox Phaser 6280DN printer. There are 4 colors available: black, cyan, magenta, yellow. 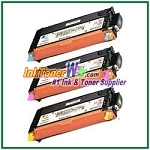 Their part numbers are 106R01395/106R01391 (black), 106R01392/106R01388 (cyan), 106R01393/106R01389 (magenta), 106R01394/106R01390 (yellow). 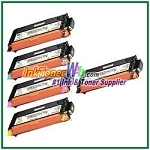 Xerox Phaser 6280DN compatible toner cartridges from InkTonerWeb.com are manufactured in ISO-9001 factories. 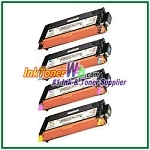 From empty toner cartridges selections, to parts replacements, to product quality examinations, every Xerox Phaser 6280DN compatible toner cartridges are manufactured strictly under the ISO-9001 procedures, unlike other companies that sell Xerox Phaser 6280DN compatible toner cartridges which are just simply refilled. Our Xerox Phaser 6280DN compatible toner cartridges are guaranteed to provide the same high print quality as the original brand name Xerox Phaser 6280DN compatible toner cartridges. 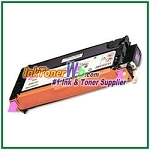 Purchase Xerox Phaser 6280DN premium compatible toner cartridges from the #1 ink & toner supplier - InkTonerWeb.com. Your online shopping experience will be the most enjoyable. 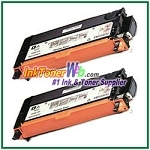 Order your Xerox Phaser 6280DN compatible toner cartridges fast!